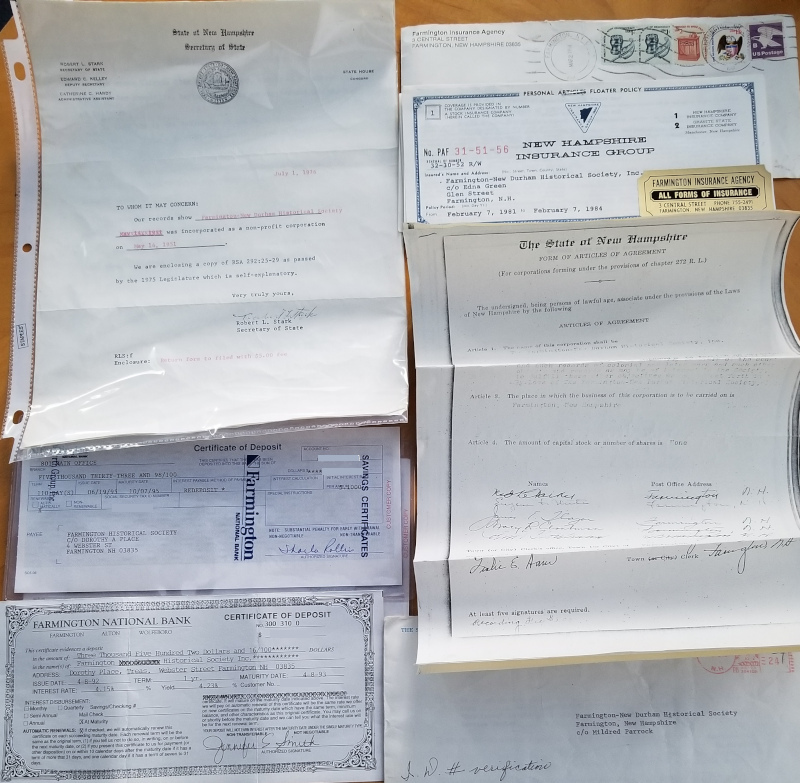 We were recently conducting some very, very early spring cleaning in our deposit box and ended up with a small trove of interesting Farmington documents! 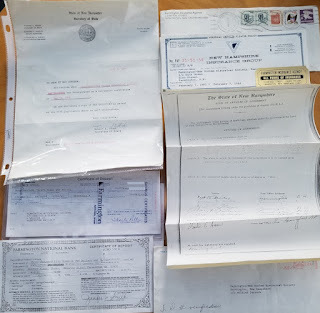 various, outdated, certificates of deposit from the Farmington National Bank, insurance paperwork from the Farmington Insurance Agency, paperwork from the Secretary of State of NH about our incorporation as a NH non-profit, and finally a copy of the Articles of Agreement of the society from 1951. All will be transferred into the permanent museum collection for safe keeping!